Our bodily responses to drugs are actually determined by our genes — and with pharmacogenetics testing, which provides an analysis of genetic differences in metabolic pathways, physicians can see which drugs will be most effective for treatment and which drugs might even produce adverse reactions. Better treatment: When your physicians know what medications to avoid and which ones will be most effective, they can devise the best treatment plan for your illnesses. You will avoid the trial and error method of “Take this and come back in 30 days if it’s not working to adjust the dosage or try a new prescription.” Pharmacogenetics testing has been used to create better treatment for a range of medical problems from blood clotting and cancer to depression and heart disease. Safer treatment: With knowledge about what medications have adverse effects on you, your doctor can avoid these prescriptions and keep you safe. Since there are 2.2 million serious health problems and 106,000 deaths per year in the US caused by adverse drug reactions, safer treatment plans should be a priority. Lower costs: Less trial and error means fewer co-pays and out-of-pocket fees for prescriptions and doctor’s visits. And as your health (and the health of your employees) improves, insurance premiums may also decrease. 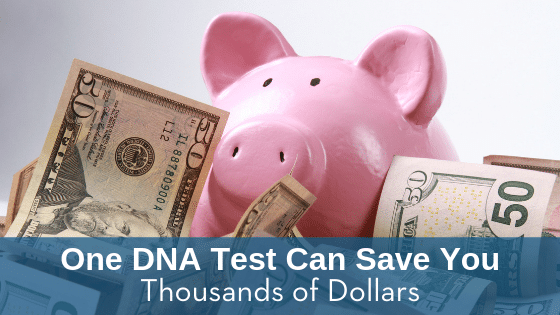 Lifetime results: One test is all you need since your DNA is unchanging. Convenience: Scheduling doctor’s appointments, swinging by the pharmacy to fill prescriptions, repeating the process over again; all these annoyances are eliminated with pharmacogenetics testing. Less addiction risk: The more medications you are prescribed, the more you are exposed to potentially addictive substances.